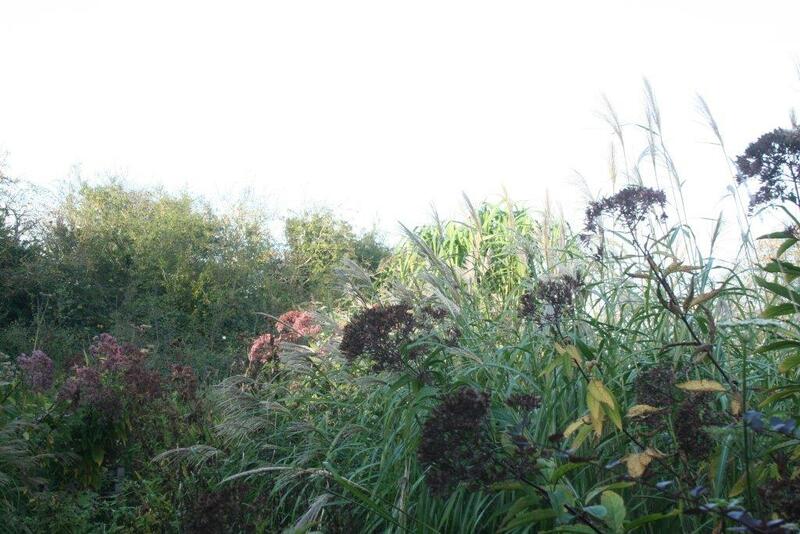 This is not a Eupatorium nor is it attractive to wildlife! But we include it here because it is a large grass that is a great foil for Eupatoriums and other tall flowers, as can be seen in the photos. 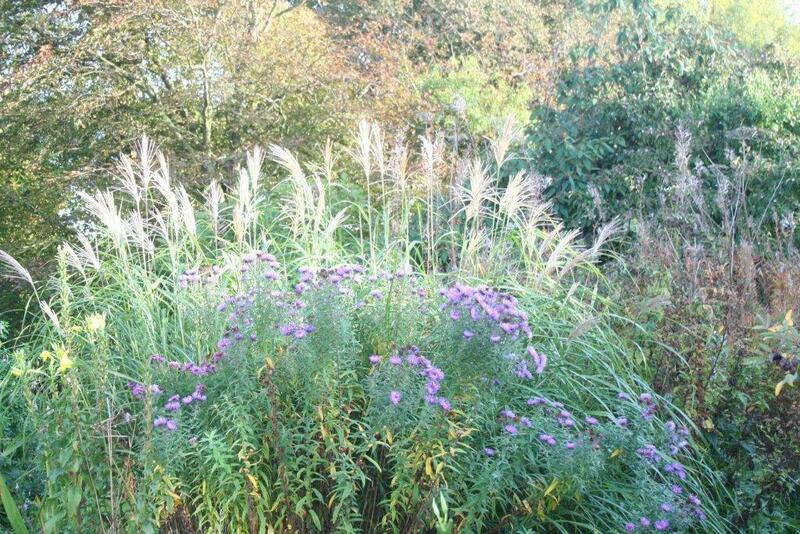 It is easy to grow in most soils and makes a big clump in a short time.